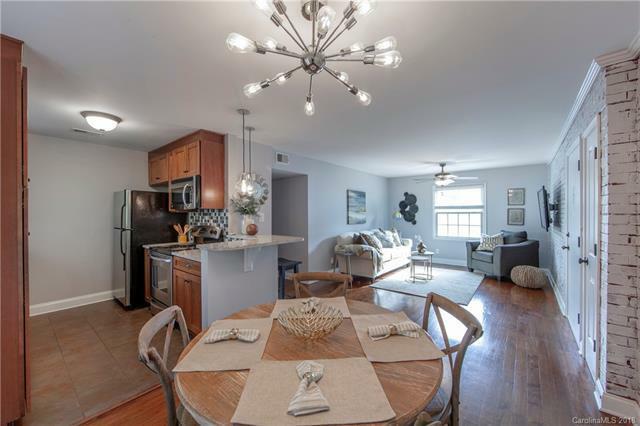 Absolutely charming & impecibly maintained 3 bedroom/2 bath Condo in Montford Park! This unit features an open floor plan w/ample dining room space, living space & open kitchen. Gorgeous, quality hardwoods! Kitchen features granite counters, shaker style cabinets & stainless appliances. Bathrooms feature matching cabinetry & upgraded tile. Cottage chic doors & unique brick accent wall are a few touches that truly make this place feel "home". HOA includes WIFI, pool and water among other maintenance. Walk to all that's amazing on MONTFORD DRIVE, PARK ROAD SHOPPING CENTER and Harris Teeter.